For the past five years, the mean SAT score has been about 180 points higher than the California or the national average, which puts our students at about the 82nd percentile. 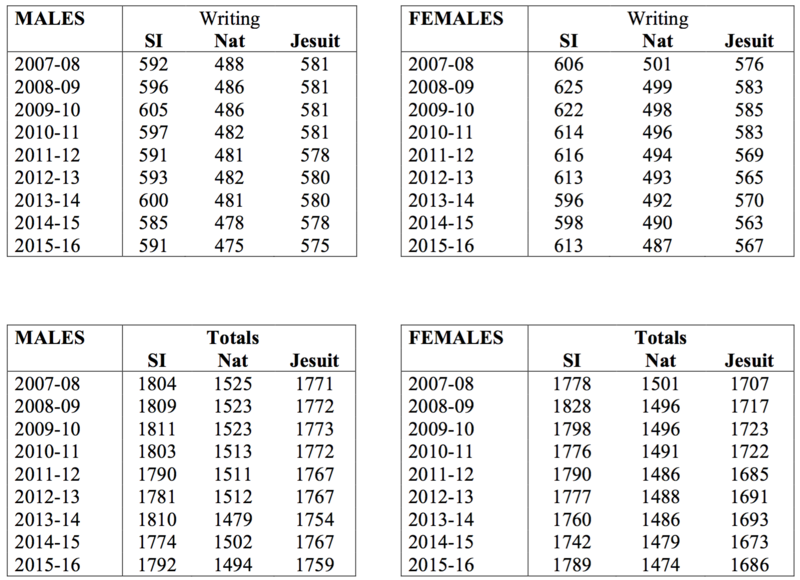 In 2006, a Writing component was added to the SAT, bringing the composite score to a possible 2400 from the previous 1600. 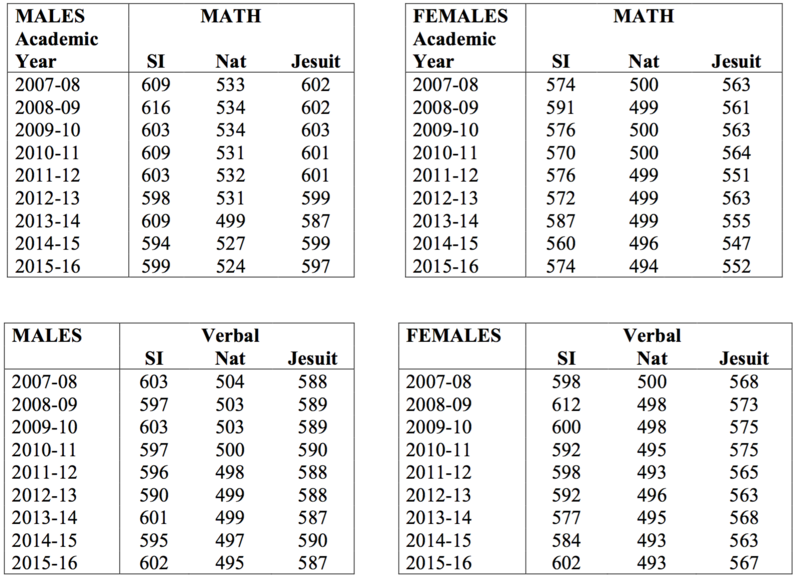 Further study is being done on the gender differences and comparisons to the other 47 Jesuit schools in the nation.